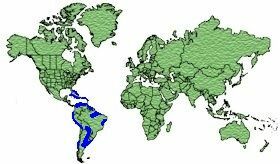 Caribbean, South America and the Galapagos Islands. 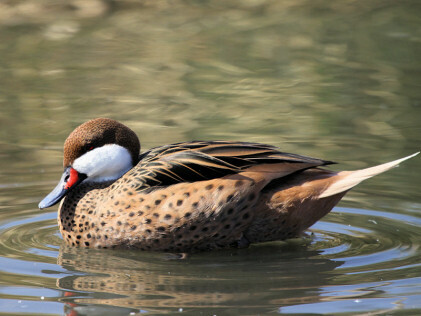 The male has a Brown crown which finishes just under the Brown eye and goes down the nape, White cheeks and throat, a Blue/Grey bill with Red either side of its base. 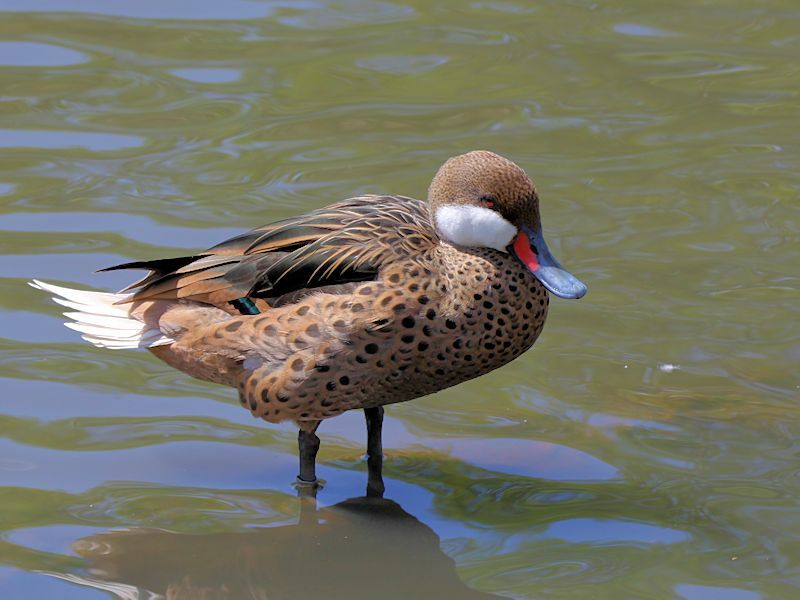 It has a dark Brown back with light Brown scallops and a light Brown to White upper tail. 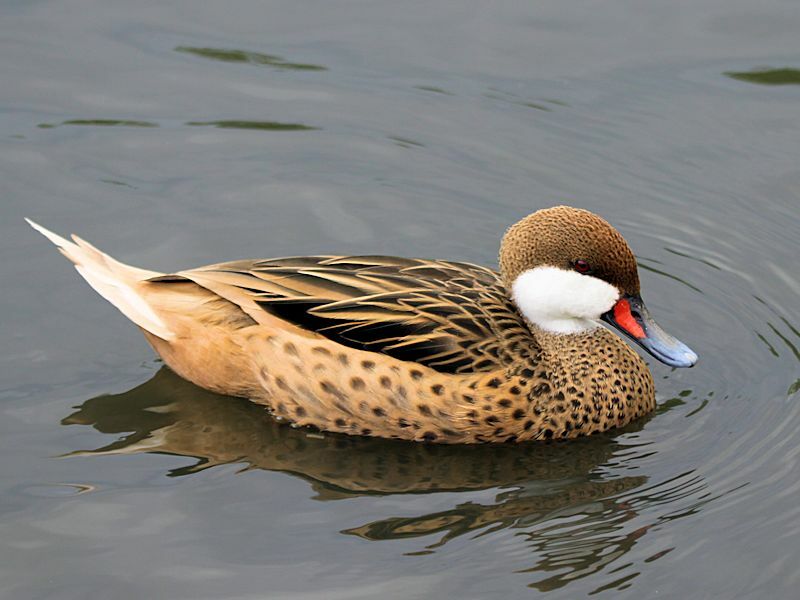 The breast and under-parts are light Brown with dark Brown spots. 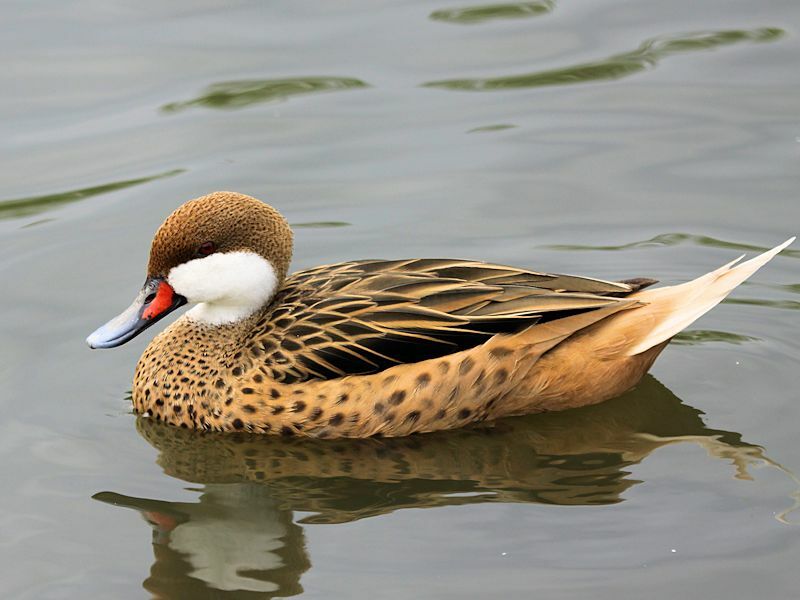 The legs and feet are dark Grey. 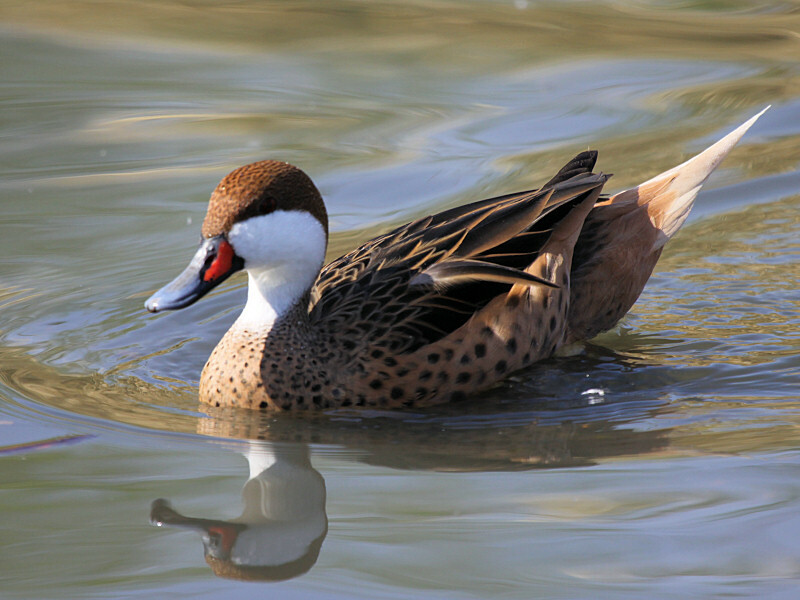 Similar to the male but slightly duller. 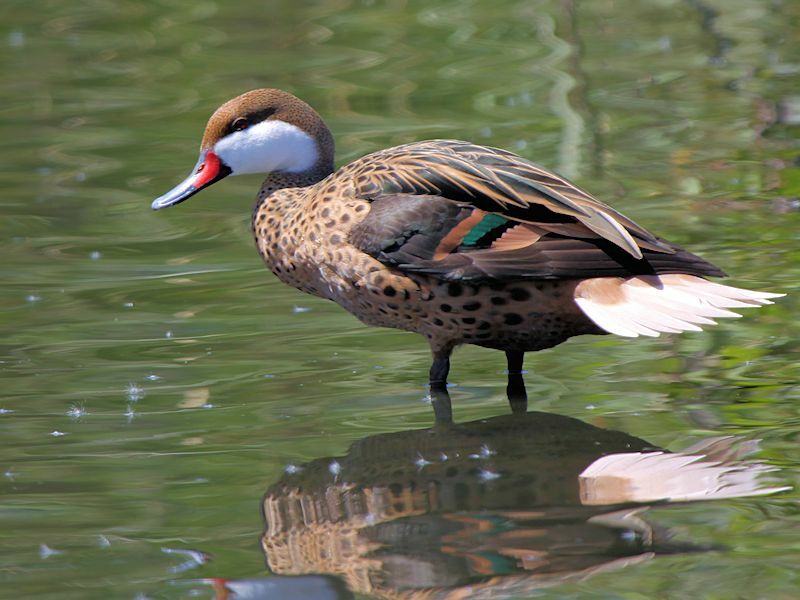 Brackish Lakes, Saline Ponds, Coastal Estuaries and Mangrove Swamps. 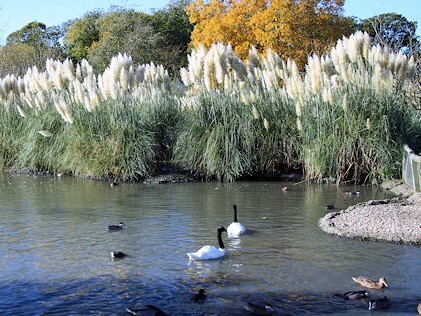 Aquatic Plants and Insects, Grasses, small invertebrates and Insect Larvae. 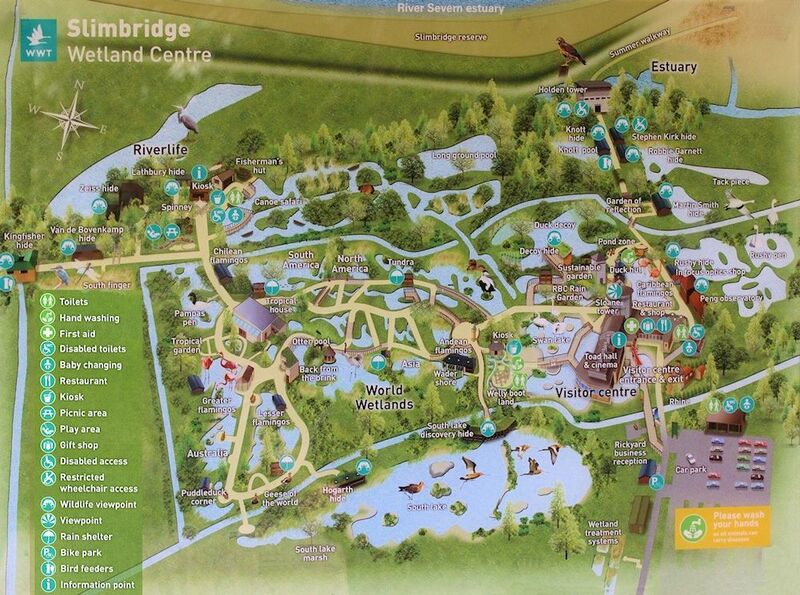 The nest is built in a depression in the ground lined with grass and down concealed by Vegetation near the water. 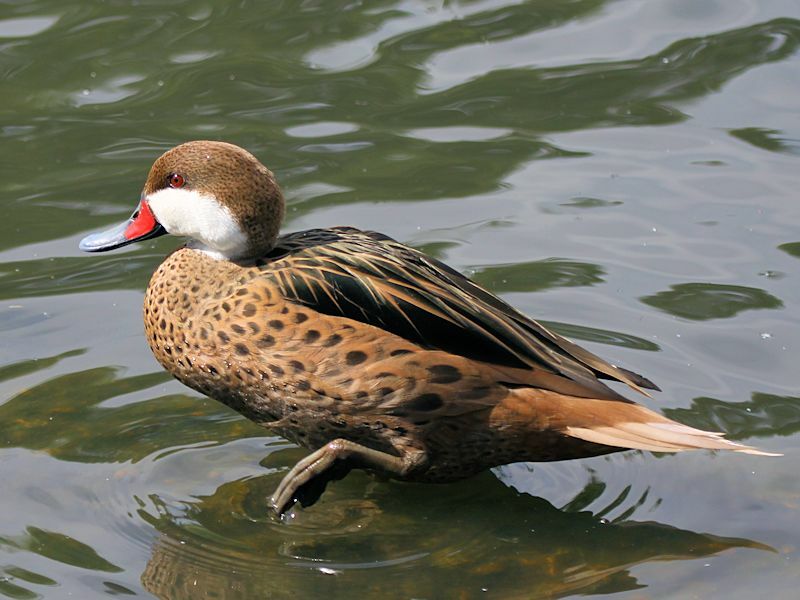 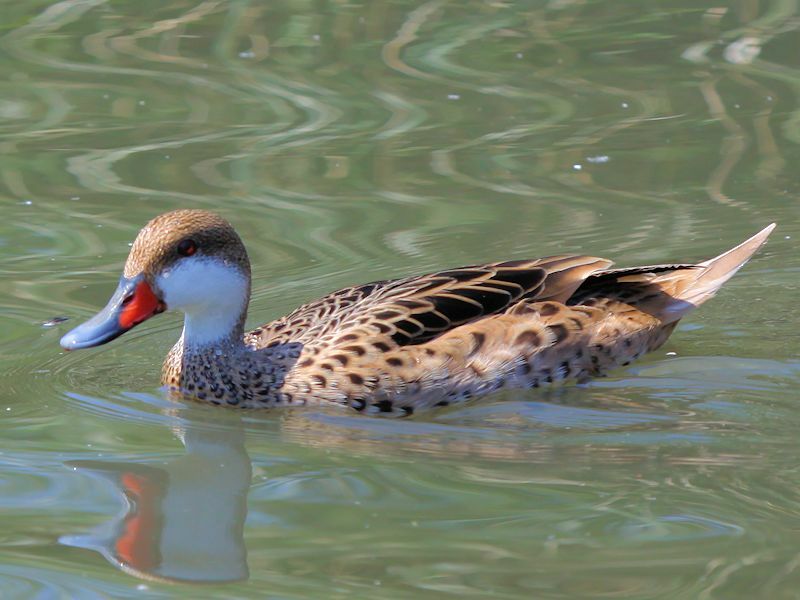 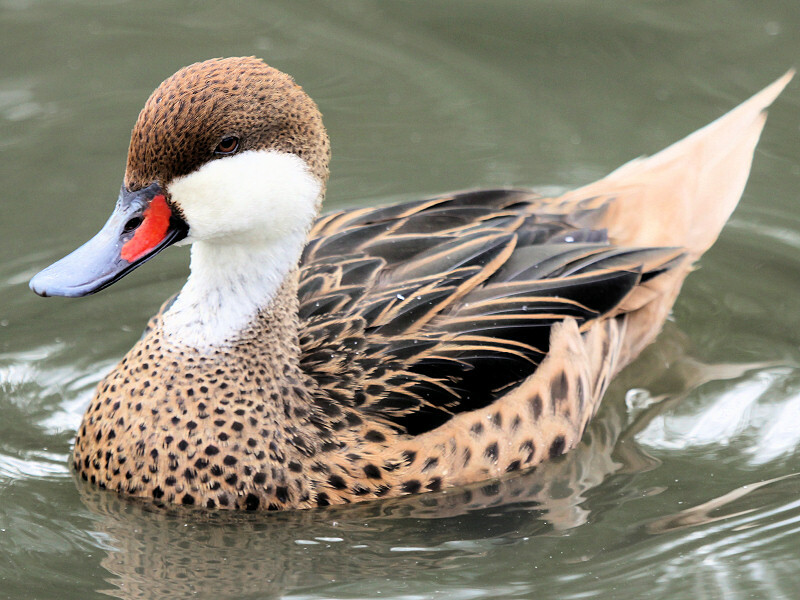 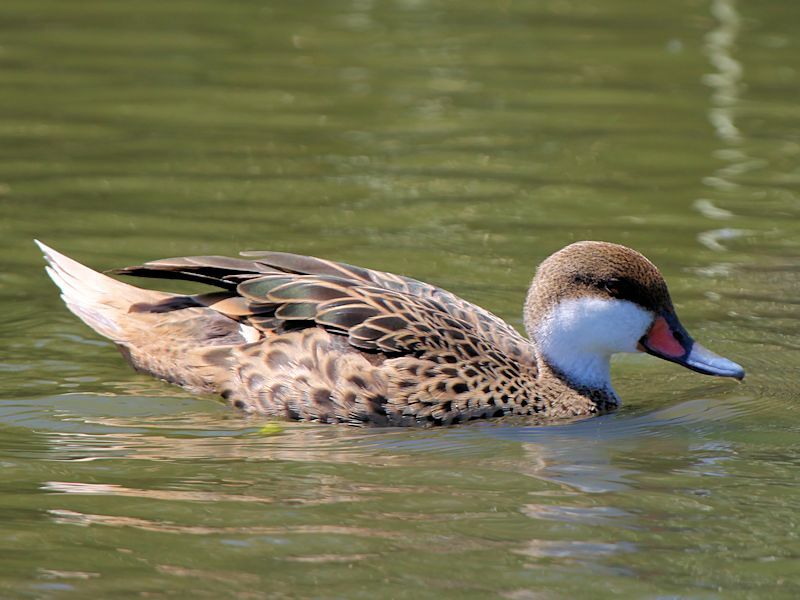 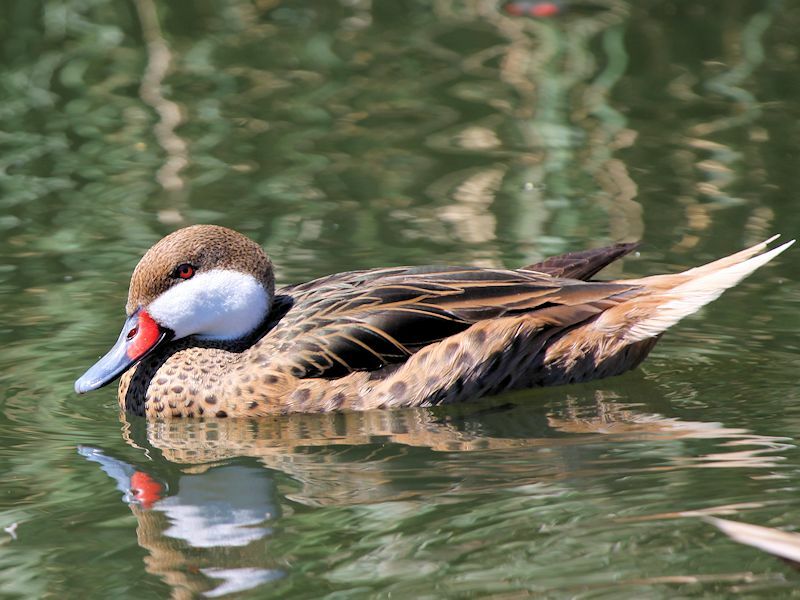 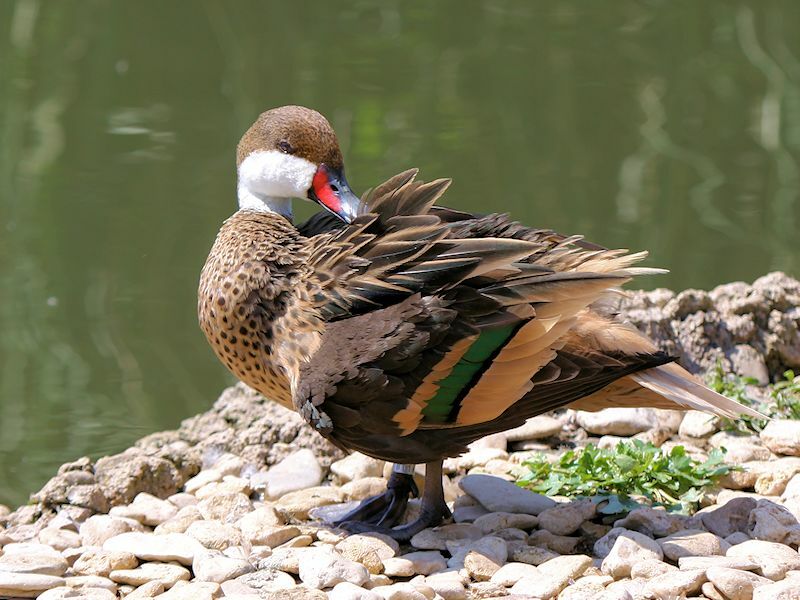 The white-Cheeked Pintail, also known as the Bahama Pintail, is a dabbling duck found in South America, the Caribbean and the Galapagos islands. 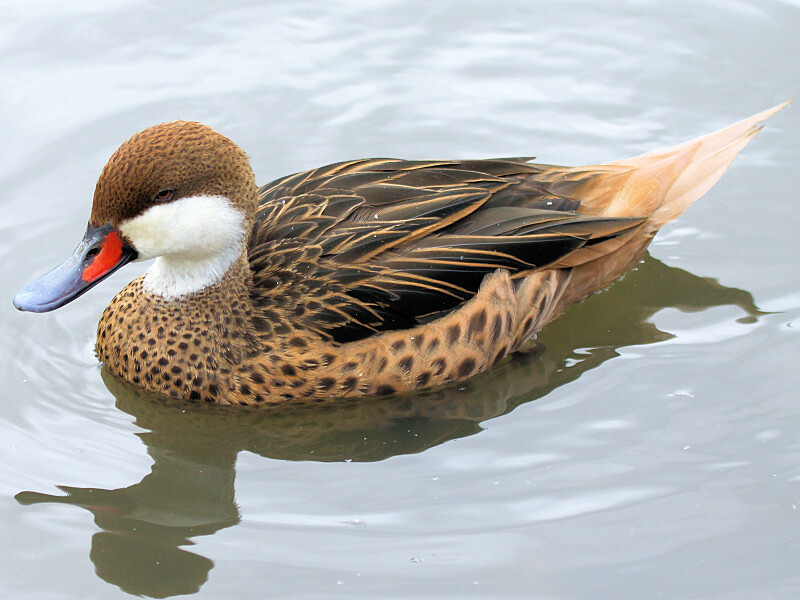 There are three sub-species of �Bahama Pintail�, namely the Lesser Bahama Pintal, The Greater Bahama Pintail and the Galapagos Pintail.